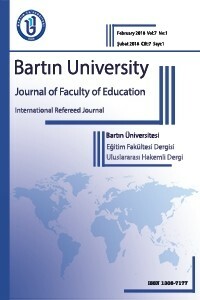 Our journal accepts manuscripts from foreign authors with full text in English and extended abstract in Turkish. Foreign authors may request a translation service for extended abstract in Turkish from the experts at our journal. The journal provides a platform for the publishing of studies in the fields of; learning, teaching and education. The primary criteria in the process of reviewing and selecting are related to contribution in the areas of learning and teaching. Genuine publications in qualitative, quantitative and mixed methods which are related to individuals from all age groups ranging from pre-school to adult education are being welcomed.